Happy New Year Everyone! 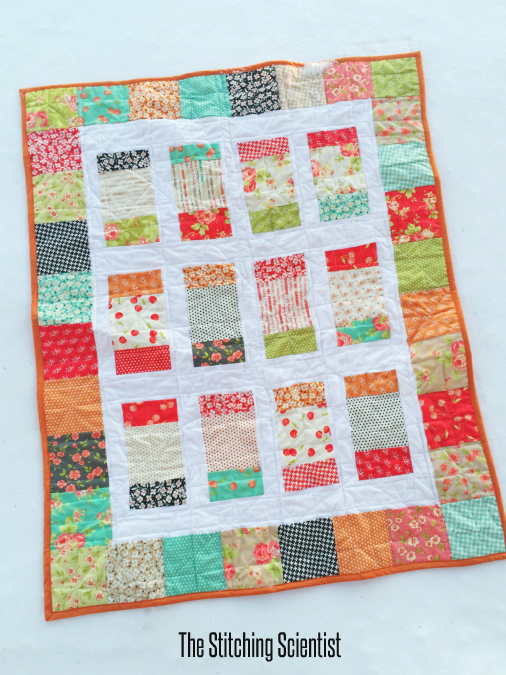 We are kicking off 2016 with this easy and fabulous free pattern from The Fat Quarter Shop; Charm Box Free Quilt Pattern. 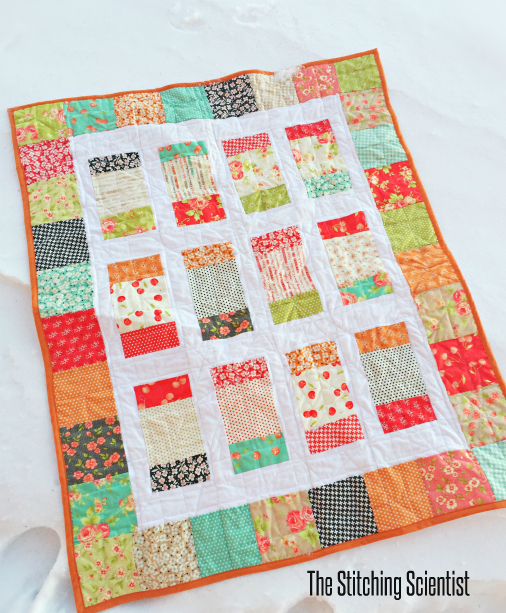 This is a super simple pattern than any beginner quilter can do. 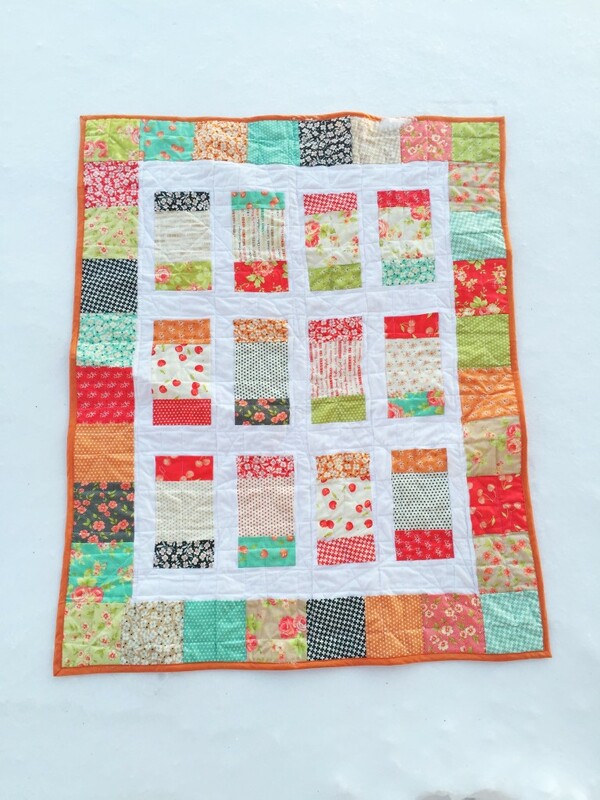 It is part of the Fat Quarter Shop Shortcut Series and one of my favorites.I did the top in about 2 hours and quilted the entire piece in under 1 hour. I did get help from my curious 4 year old on mixing and matching the charm squares. We had fun putting this together. I think I will use it as a wall piece in my sewing room. 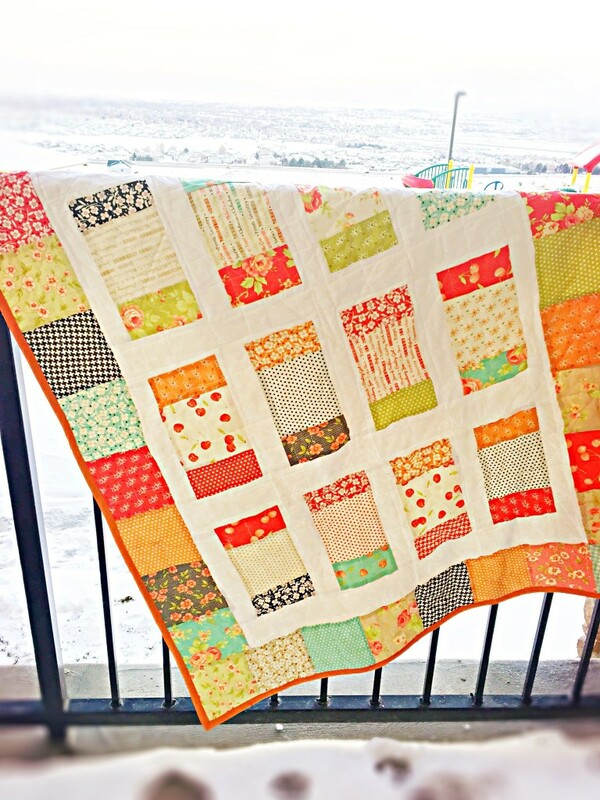 For this quilt I used Farmhouse Fabric from Moda. I love the color combo of all the pattern pieces and how it all blends together. This is my first time using fabric from this line and I will definitely be adding some more projects on the blog with some yardage pieces. We got a white Christmas this year with over 2ft of snow so we took advantage of it and use the snow as the background for taking pictures. I love how white and clean the images turned out. This is the view from our patio. The colors from the Farmhouse designs just burst out of the white background with the light. Just stunning I think. You can watch Kimberly put this piece together with the Free Pattern on You Tube. For the quilting, I just did a random straight and zig-zag stitch on my regular sewing machine. Took about 500 yards of thread and a lot of twisting and turning but I like how it came out. Its all just impromptu sewing which is fun sometimes. Download the FREE PATTERN and get going on this beautiful piece for your collection. Kimberly from Fat Quarter Shop did a really neat You Tube Video showing you how to put this together.